The Ardent Reel Butter Lubrication Pack includes 1 oz. bottles of Ardent Reel Butter Oil, Ardent Reel Butter Grease, and Ardent Reel Butter Bearing Lube - providing a complete lubrication system in a single, convenient package. Ardent Reel Butter Oil is a high-performance synthetic oil developed by Ardent specifically for fishing reel components. Ardent Reel Butter Oil is a 100% fully synthetic product with specially engineered additives to provide superior, long-lasting lubrication for any model fishing reel. Applying Reel Butter Oil to ball bearings, spool shafts, and other wear points in your favorite reel on a regular basis will ensure a smoother, quieter, and higher performance experience. Ardent Reel Butter Grease is a high-performance synthetic grease developed by Ardent specifically for fishing reel components. Ardent Reel Butter Grease is a 100% Full Synthetic product with specially engineered additives to provide superior, long-lasting lubrication for any model fishing reel. Applying Reel Butter Grease to gears, worm shafts, and plastic components in your favorite reel on a regular basis will ensure a smoother, quieter, and higher performance experience. 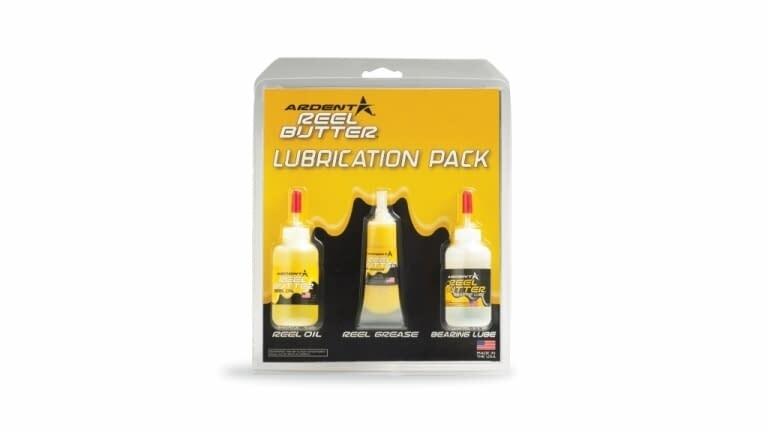 Ardent Reel Butter Bearing Lube utilizes the latest in lubrication engineering technology. It penetrates deep into ball bearings and roller bearings for a complete flush of dirt and foreign debris, as well as thorough lubrication. Unlike graphite-based lubrication, Reel Butter Bearing Lube does not contain tiny graphite particles that contribute to bearing noise and performance issues. Reel Butter Bearing Lube provides maximum lubrication and corrosion protection for all bearing applications.